Remember a couple weeks back, in my Night Raid 1931 review, when I mentioned I hadn’t seen Black Butler yet? Guess who finally watched decided to watch it? Black Butler is an Action/Fantasy/Comedy series based on the ongoing manga by Yana Toboso and Square Enix, with Yen Press as the North American licensor. The 24 episode series, Black Butler, comes from A-1 Pictures and director Toshiya Shinohara for the Fall of 2008. It is currently licensed by FUNimation Entertainment (US), Manga Entertainment (UK), and Madman Entertainment (AUS). An additional 12 episodes and 6 OVAs of the series under the name Black Butler II were released over the course of a year beginning in the Summer of 2010. A-1 Pictures and director Hirofumi Ogura are masterminds behind this series. Black Butler II is licensed by the previously mentioned companies. The OVA episodes will not be covered in this review. In Victorian-era London, on the night of Ciel Phantomhive's tenth birthday a fire destroyed his manor and killed both of his parents. In a moment of death Ceil strikes a deal with a demon, his soul in exchange for revenge. This demon becomes his butler and calls himself by name of Sebastian Michaelis, to protect and serve Ciel until the deal has been completed. 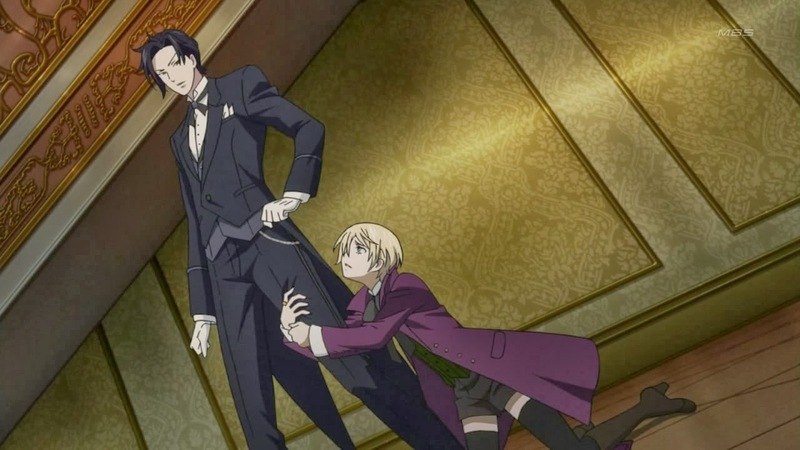 One month after the fire Ciel returns from being missing, with his new butler Sebastian. Ceil is now the head of the Phantomhive corporation, handling all business affairs as well as the work as the Queen of England’s guard dog and looking for his parents murders. Even though this is fairly early on in A-1’s studio career, Black Butler is a very nice looking series. 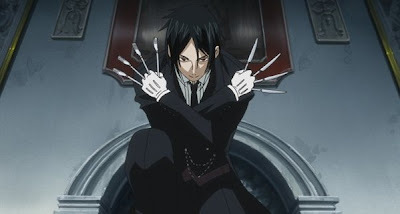 There are some rough patches here and there, however the animation for Black Butler uses every little thing to its advantage. From the lighting and shadows to color, the series knows what it wants to show. The music is also an interesting delight to listen to. It varies depending on the tone the show currently has (that being serious or comedic), and it manages to pull this off pretty well. I also adore the opening theme song Monochrome Kiss by SID, but I do have to mention something that threw me off a bit. Once we reach episode 13 or so, the song does change, however it’s another verse of Monochrome Kiss with the same animation. Then when we reach episode 17, the song remains but the animation changes. Shouldn’t they both change around the same time? It seems a little odd and out of place to me. Granted, like the series itself, it does keep me on my toes. Black Butler II is an entirely different story when it comes to animation. It does keep character models and some of the same techniques in regards to lighting and shadow, however the animation as a whole is much more crisp and clean.This makes sense seeing as how the second season aired in 2010, nearly two years after the original. There are some downsides though, particularly through some CGI use. It stands out to me, and although this is supposed to be better than the original, CGI just isn’t the right way to handle this. At least for me it isn’t. However there were a few callbacks to the original series which added a nice little touch to the second season. As for the soundtrack, it stays true to the original with a few extra pieces for Alois and Claude. Speaking of, the opening and ending theme is another interesting case. 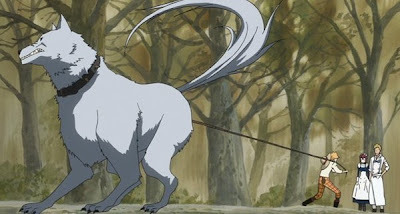 The opening theme for the entire series is the same song, however, depending on who the episode belongs to the animation changes. There’s one version for Ciel and Sebastian and one for Alois and Claude. This also effects the ending theme, which are two completely different songs and animations. It’s a nice touch really. In Black Butler, the story runs on a two to three episode mystery plot of sorts. For most of the show’s run, we follow Ciel and Sebastian as they solve many cases for the Queen of England. Some of which are rather familiar. The most well known out of the bunch being Jack the Ripper. But there are a few other gems neatly placed into the series that I loved. From similar plot lines such as Sir Arthur Conan Dole’s The Hound of the Baskervilles to the Hope Diamond being used as a plot catalyst towards the show’s mid way point, I just can’t help but love these little bits and pieces. As the series goes on, we develop our main antagonists and the main plot kicks in. When we’ve reached this point, the story is developed at a good pace leading up to the wonderful climax of the series. 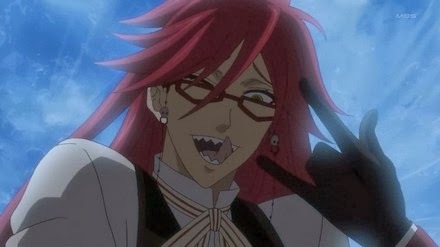 Overall, Black Butler’s story was well done even if it derailed from the originating manga after a short amount of time. This is one of those cases where a series making it’s own story succeeds. If you’ve seen Black Butler, then you’re going to appreciate this next question. How in the hell did they manage to make a second season? Well, plot holes abound I suppose... Actually, yeah, plot holes are the reason this second season happened. It’s really the only explanation for a decent amount of things. The biggest one being the supposed death of some characters in the first season. Luckily we’re given small hints to some, however there is one specific character who was supposedly dead in the first season and is now alive here and we don’t get confirmation of this till the final episode, though I won’t say who for spoiler reasons. Worse still, the entire first episode of Black Butler II is riddled with even more plot holes that make it difficult to tie the end of one season into the start of the next. It’s rather irritating. Hell, it’s not even till close to the half way mark that the topic of, oh I don’t know, CIEL LOSING HIS MEMORIES IS BROUGHT UP!!! Everyone until that point acts as though nothing has happened and it made my brain hurt. I was fine with only Sebastian knowing Ciel lost his memory, but having everyone else in on it and actually pulling it off flawlessly is annoying. The second half of the series made my brain hurt less, but I still felt those lingering plot holes weighing on me and it distracted me for the entire show. In the end, Black Butler II’s story just didn’t work for me. If you have no idea what Black Butler is about and just were to go with basic summaries, then you wouldn’t catch the Comedy genre attached to the series. 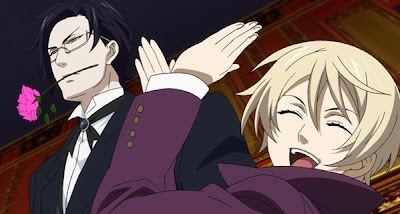 As much as there is a dark undertone throughout Black Butler, you won’t be able to resist laughing at every little joke or little piece of slap stick the show has. This is all because of the characters of the series. I’m going to leave Ciel and Sebastian out for the time being and just focus on the minor characters of the show since they are the reason Black Butler has the Comedy label. There are many recurring characters in this series including the Phantomhive servants, members of the Queen’s Guard, and other relatives and business associates that manage to carry the comedy of this series all on its own. From Ian Sinclair (Shiki, Toriko), Jason Liebrecht (Black Cat, Eden of the East), Monica Rial (RahXephon, Soul Eater), and R. Bruce Elliot’s (Romeo X Juliet, Sgt. 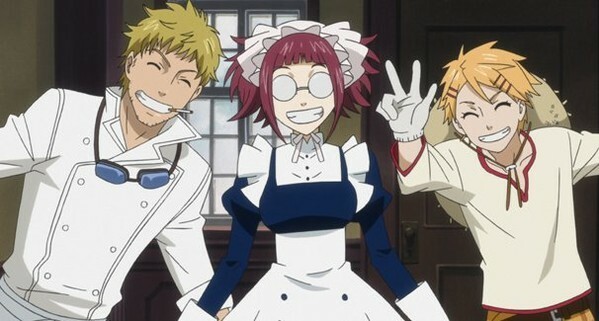 Frog) roles as the servants to Lydia Mackay (Full Metal Alchemist, Trinity Blood), Jerry Jewell (Case Closed, Beck: Mongolian Chop Squad), and Cherami Leigh (Sword Art Online, Fairy Tail) as other associates of Ciel’s they are what make this series a delight in the comedy area and are a huge contrast to Ciel and Sebastian’s characters. Instead of keeping the series completely serious which could have potentially made Black Butler into something a little too gloomy, they opted to add wonderful side characters that are more bumbling and, at times, more immature. 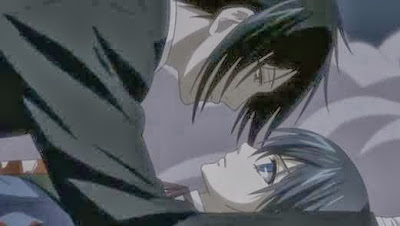 Again, the perfect contrast to Ciel and Sebastian. Perfect segway into our two leads? I think so! First let’s talk about Ciel. Ciel is, probably, the epitome of vengeance and hate, as these are the constant emotions that follow him throughout the series. This can sometimes lead him into moments of immaturity as his child like desires may hit occasional roadblocks along the way. Since this story is about Ciel, then we gain very insightful glimpses of his life and his motivation for vengeance. There are very few moments where Ciel wavers causing a slight rift between himself and his goal. And also Sebastian. Speaking of, not much is truly known about Sebastian. Not even his memories. He’s clouded in so much mystery that, on occasion, Ciel attempts to learn more about his loyal butler. However, in the end, Sebatian doesn’t really develop as a character. He has a goal and wants to do everything he can in order to achieve that goal. Between the two leads, Sebastian does tend to jump into the comedy area a bit but more of an oblivious humor rather than slap-stick. I say oblivious, but he knows exactly what’s going on. Nothing can ever escape him. 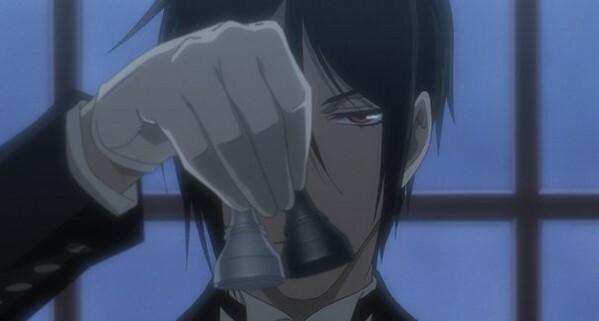 It’s not until Black Butler II that we gain a little more out of Sebastian. I guess competitions can sometimes make a demon butler angry, huh. I guess it’s as good a time as any to talk more about voice acting. See? I told you we’d be returning to team Tatum/Palencia didn’t I? In this case, it’s a little bit different than Spice and Wolf but they are the two leads so it still works. 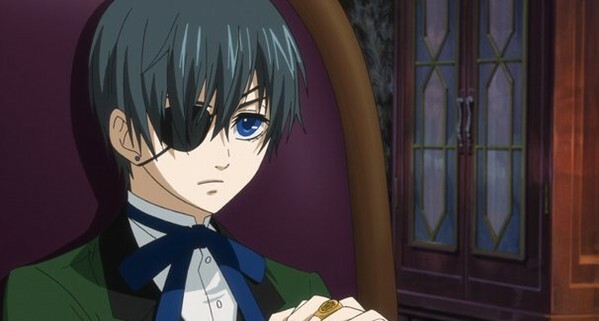 This time, Brina Palencia (Fractale, Future Diary) becomes our Phantomhive Earl Ciel. As much as I love Palencia, we have our typical Palencia’s little boy voice that we’ve seen a few other times already. I think this is one of her earlier roles that landed her more young male parts in later years, so it makes sense. I guess I’m just a little tired of the same thing again except in English form. However, for what it’s worth she does give a wonderful performance so I have minimal problems. 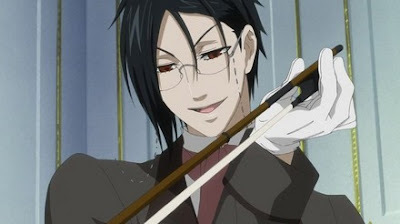 Meanwhile, we have one hell of a butler Sebastian Michaelis played by the ever wonderful J. Michael Tatum (Baccano!, Steins;Gate). This is one of the most surprising roles I’ve seen Tatum play out. The last time I was in love with one of his performances like this was Baccano except he plays a more serious and devious character compared to his role as Isaac. I knew from the second he first said “I’m one hell of a butler” that I was going to love his portrayal, and boy was I proven right! I know, seeing as how I’m a lady, I can’t have a waifu. But if I could, Sebastian would be a contender. A few other mentions of voice acting for the first season, aside from those previously mentioned, I believe credit is also due for Chuck Huber (Mushi-Shi, Full Metal Alchemist), Colleen Clinkenbeard (One Piece, Case Closed), Jonathan Brooks (Hero Tales, Hetalia), Patrick Seitz (King of Thorn, Deadman Wonderland) and Daniel Fredrick (Rideback, Shin-Chan). Overall, the cast was a delight to listen to, even with the interesting accents many of the characters have. It seems that Ian Sinclair and Colleen Clinkenbeard had a lot of fun as the ADR Directors of this series. I say, good show sir! 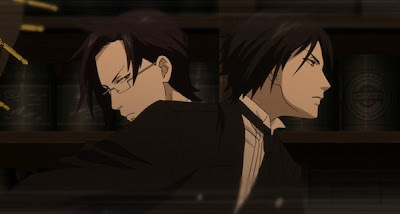 Now, I think it’s time to talk a bit about our duo from Black Butler II. Alois Trancy and Claude Faustus, played by Luci Christian (Princess Tutu, Full Metal Panic!) and Jason Douglas (Le Chevalier D’Eon, Elfen Lied) are an interesting pair against Palencia and Tatum. Quickly looking at their characters (since I didn’t fit them in the character section previously) we have the total opposites coming into play with Ciel and Alois. 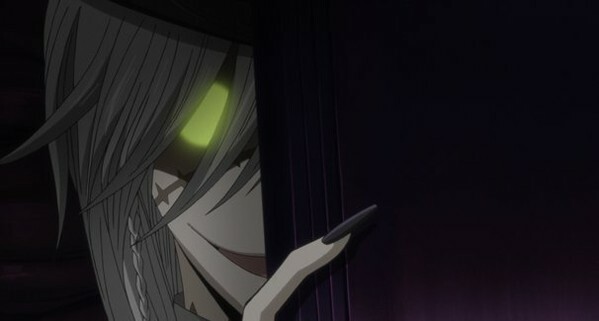 How Alois is the opposite of Ciel is rather interesting. I see Alois as the light to Ciel’s darkness. Now, here me out. I mentioned how Ciel is so vengeance driven that it has caused moments of immaturity and poor treatment of people in his life. Alois isn’t so much vengeance driven but driven by his desire for love and affection. His past doesn’t help this case in the slightest as, in some ways, it is similar to Ciel but with much more despair weaved in. What Alois also possess is immaturity for days and even WORSE treatment of his servants, Hannah, played by Caitlin Glass (Bamboo Blade, Gunslinger Girl), getting the biggest amount of punishment at the Trancy mansion. It also helps the comparison along that Alois hates the dark and Ciel pretty much thrives on it. As for Claude, he’s similar to Sebastian. No real character development to be found here, however he’s much more cold and unmoving than Sebastian. For what it’s worth, Christian and Douglas did outstanding work in their roles. I’ve never hated a character within the first five minutes of a series like I did with Alois. If you haven’t noticed by now, a lot of this review has Black Butler and Black Butler II separate from each other. There is a reason for this, and keep in mind this is just how I see the series. For all the amazing pieces neatly placed into Black Butler, it becomes utterly stained by all the wrong things done in Black Butler II. The ideas and concepts in the second season are a nice idea on paper, however the execution was rather poor. While Black Butler II tried to be better than it’s predecessor it lost sight of the many reasons why the original was amazing in the first place. The comedy almost disappears, the minor characters are almost never seen, and we get Alois whose past is just terrible and almost inappropriate at times. It’s hard for me to make comparisons between the two seasons as a whole because of these vast differences, hence the reason they are separate and why each season will end up with a separate rating from me. Normally, I would average the two together, but I just can’t. Not when Black Butler II is such a disappointment that I don’t want to downgrade the first season because of this. Who would like to play chess? 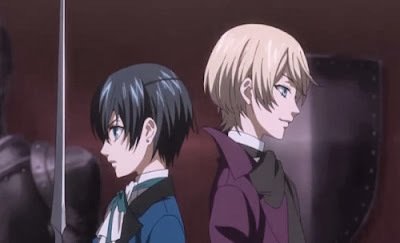 By the time the contract is fulfilled, Black Butler is a lovely little blend of dark mystery with comedic moments that know how to keep the balance and the viewer entertained. The story is wonderful, the characters are a delight, and J. Michael Tatum is standing firmly high on my favorite voice actors list. This series is more catered to a female audience, so ladies have at it! Though male audiences may appreciate what this series has to offer as well. As for Black Butler II, let’s pretend that it doesn’t exist, shall we? Next time, I fulfill a little contract of my own and review a series that’s been puzzling me these past couple of months. Until then, otaku on my friends! hes one hell of a butler! So beautiful! If you are looking for an excellent contextual ad network, I recommend you take a look at Propeller Ads.